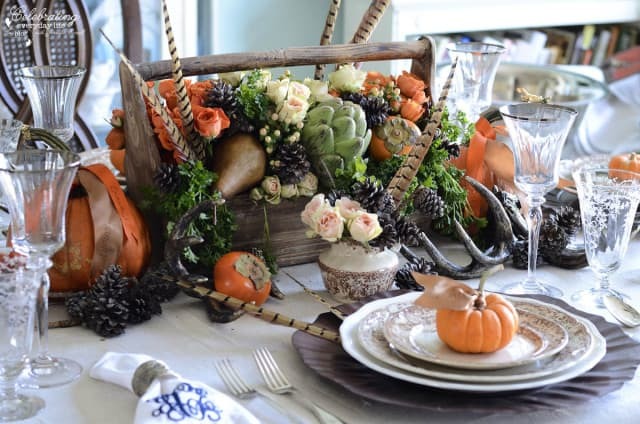 If you saw my blog post yesterday about my Thanksgiving napkin rings, you already know that I’m trying to be thrifty when it comes to setting my table this year. The one area of the table that I’m struggling with is the centerpiece. 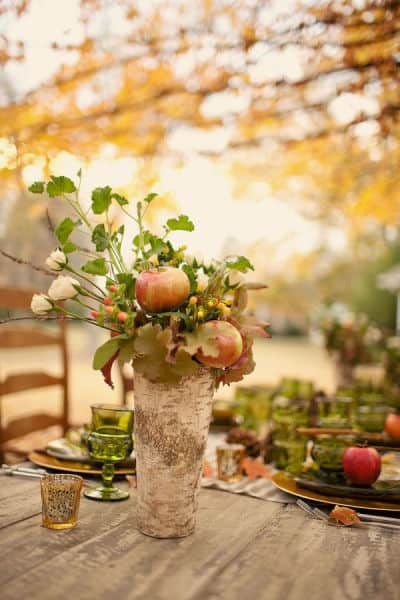 I would very much like to create a centerpiece using mostly natural elements. 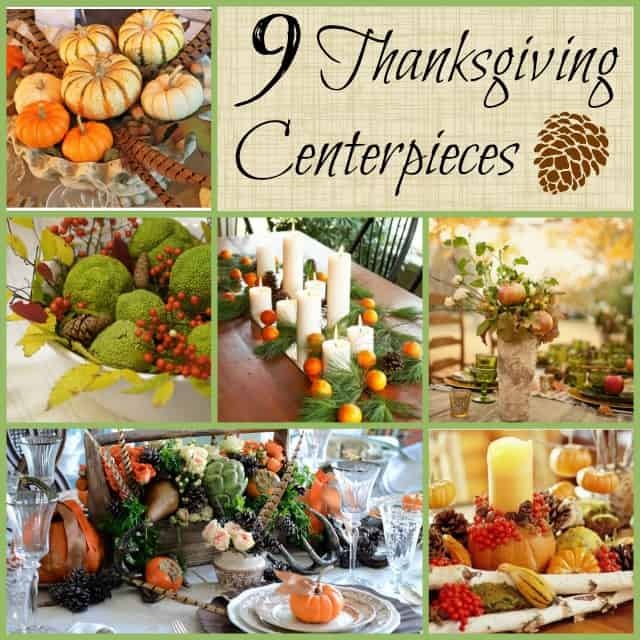 Not only is it a thrifty way to go, but natural elements practically scream Thanksgiving to me. While looking for ideas, I came up with these inspiring examples. 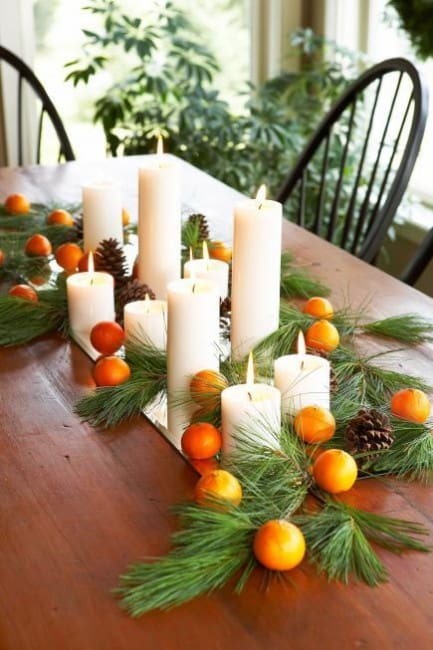 Nothing could be more simple that the use of some loosely layered greenery and a bevy of candles. 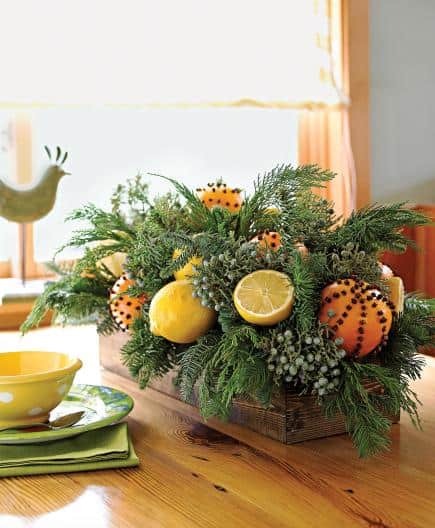 I love the use of greenery mixed with oranges. This one would be super easy to pull off and would be practically free to boot. 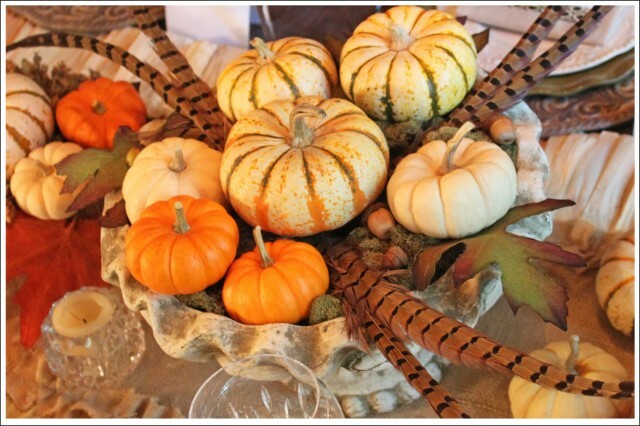 Love the mix of pumpkins, feathers and a few acorns. 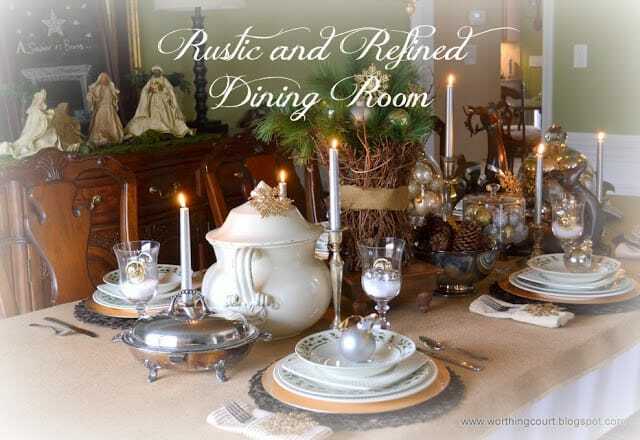 I already have a similar urn and could recycle some of the pumpkins that I used in the dining room for my Fall Home Tour. Loving the simplicity of a couple of apples, a few flowers and berries mixed in with some leaves in this gorgeous bark looking container. 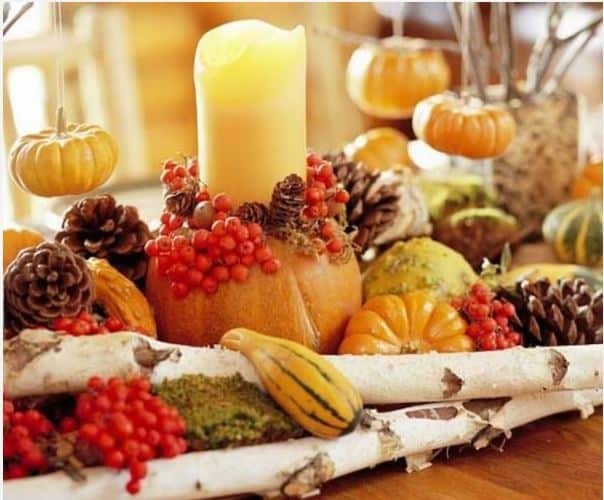 I pretty much already have everything that I’d need to put this gorgeous centerpiece together. This beautiful example came from the produce isle. Jennifer shows how to put it all together. If only I knew where to get my hands on some hedge apples. Simply stunning and this could easily carryover into the first few days of December as you transition into Christmas. Which one is your favorite? 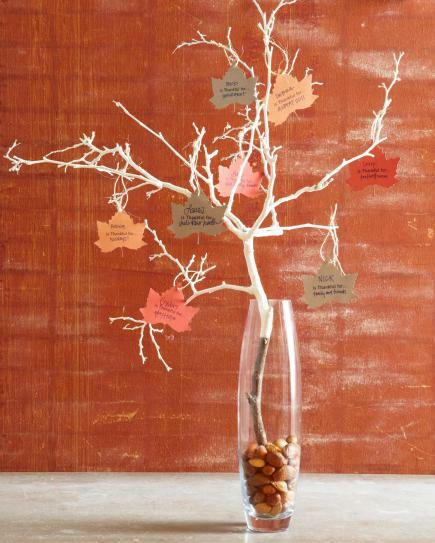 Do you like decorating with natural elements? These are so pretty Suzy! I love the cabbage. 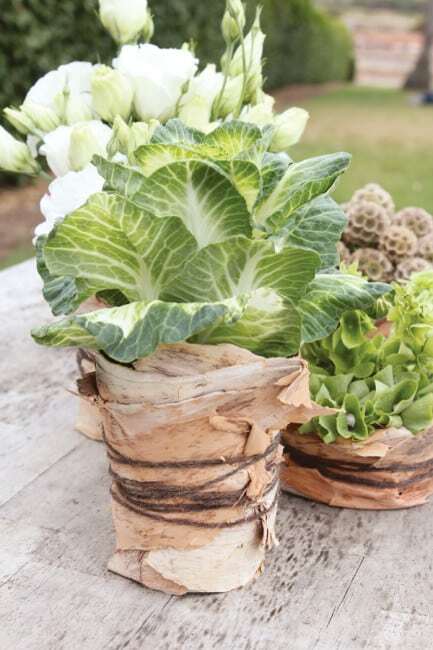 I keep saying I will plant the winter cabbage but I haven’t yet..
You know I love all things thrifty and this is just perfect! 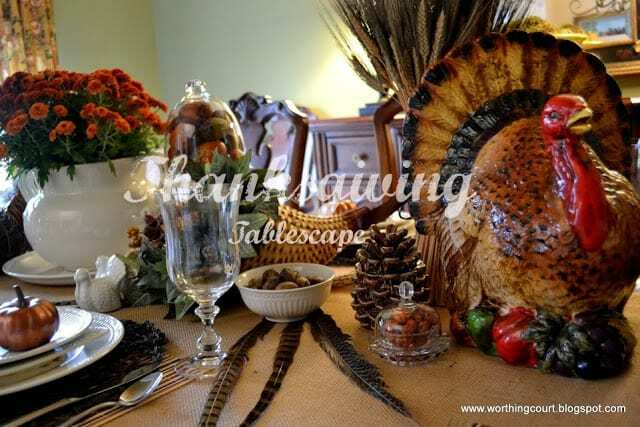 Thank you so much for including my natural tablescape in this fabulous round up Suzy!! There are so many GREAT ideas here!! Love it!!! What a fabulous roundup, Suzy! I love the oranges used for Thanksgiving! Nothing beats the beauty of nature! Those are all so pretty, hard to choose a favorite. I remember hedge apples from when we lived in Oklahoma, but they were called bodark apples. 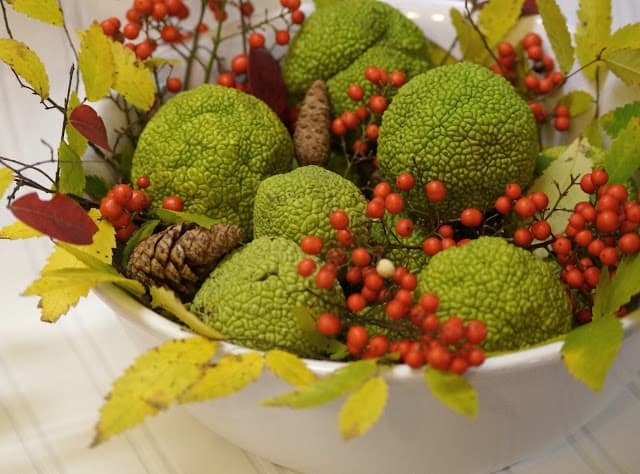 I don’t think they are edible, but they are pretty in a bowl, aren’t they?